#MEMS: "Tini-tiny microphones go HD"
Akustica sports a new family of HD mics with super-wide frequency response and crystal clear voice reception with four varieties for use with nearly any existing or future consumer electronics device. #MEMS: "Atom 'Clover Trail' Perfect for Windows 8"
#MEMS: "Nintendo Claims World's Most Accurate Game Controller"
PNI Sensor's ultra-precise geomagnetic sensors are house in three separate packages--for X, Y and Z--to provide automotive-grade sensing for the world's most accurate gaming controller from Nintendo. #ROBOTICS: "1000 Robot Makers Debut Worldwide"
Red markers are industrial robot makers; Blue with an "S" are service robots used by corporations and governments; Blue with a "P" are service robots for personal and private use; Green markers represent robotic start-up companies and Yellow shows where the top 20 robotics-focused universities and research labs are located. Visit the interactive map listing each company's, name, country and website by clicking Further Reading below. 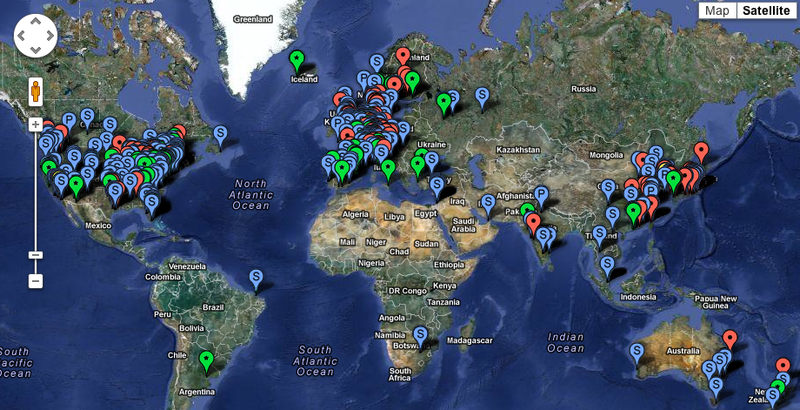 Here is what The Robot Report says about robotics companies: Presented on this map are 977 robot manufacturers and the top 20 robotics universities and research facilities. Every type of company; every facet of the industry; most industrialized countries of the world are represented. From big companies like KUKA, ABB and Fanuc to start-ups like Redwood Robotics in California and Etnamatica in Sicily; from Iceland to Western Australia. These companies are robot makers; they may or may not also be robot users. That's for another map. Red markers reflect 200+ industrial robot makers; Green is for the 170+ start-up companies; and Blue is separated into two groups: "S" for service robots for governmental and corporate use while "P" covers service robots for private or personal use. Yellow is used to show the location of the top 20 robotic research and educational facilities. A country-by-country table is shown below. The global map does not cover an additional 825 ancillary businesses such as image systems, software developers, engineering and consulting firms, integrators and resellers, designers, servo, laser and stereo camera providers, etc. Nor does it cover 225 other educational facilities and research labs. These can be found in our Ancillary Businesses and Educational and Research Facilities Directories. 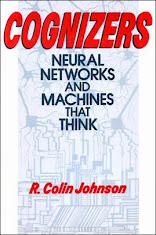 The map is also limited by my own research capabilities, language translation limitations, and scarcity of information about robotics companies in emerging countries. It show a single entry for a company headquarters regardless how many branches, subsidiaries and locations that company might have. In spite of all those caveats, at first glance I was impressed by the sheer quantity of the markers. One can easily see that many of the start-ups and service robotics companies are located near prominent Yellow-marked universities and research labs in clusters surrounding Carnegie Mellon, MIT and Harvard, UC Berkeley, Stanford and Willow Garage, the University of Tokyo and TITECH, etc. Or areas of innovation and energy like Seoul, Korea, Israel and New York City. Red markers - industrial robot makers - stand out for their predominance in the industrial sections of the world: Germany, Switzerland and Central and Western Europe and the UK, Japan, Korea and the Great Lakes area of the US. Blue markers - service robots (every other type of robot except industrial) are everywhere as are Green start-up markers. These are the emerging robotics companies in non-industrial robotics: robots used in healthcare, scientific labs, for defense and security, in academia, as toys, for remote presence and autonomous mobility underwater, on the ground and in the air and for a myriad of other uses. 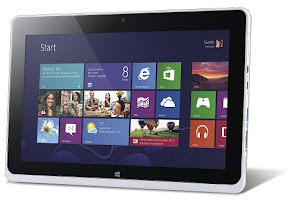 #MEMS: "Windows 8 Tablets Sport Snazzy Sensors"
#MEMS: "Bosch hawks world's smallest altimeter"
Bosch claims its 2-by-2.5-by-.95 millimeter package (right) has a 65 percent smaller footprint than the last generation. #CHIPS: "Xeon Phi Supercharging Green HPCs"
Intel’s Xeon Phi now comes is two flavors–the 3100 (top) which offers screaming speed at 300 Watts, and the the 5110P (bottom) which at 225 Watts does not require a fan. Here is what GoParallel says about Intel's Xeon Phi: In a turning point in the high-performance computer (HPC) market, Intel has started delivery of its Xeon Phi many-integrated-core (MIC) processors, set for volume production by Jan. 2013. 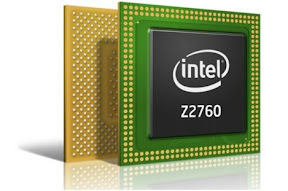 By incorporating as many as 60-cores into each Xeon Phi coprocessor, future supercomputers multiply performance at a fraction of the current cost and power consumption, solidifying Intel’s lead in green HPCs for the foreseeable future. 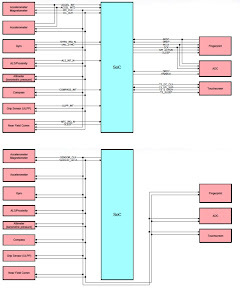 #MEMS: "Unified sensor interface sought"
Today it takes up to 23 pins (top) on an SoC to manage all the MEMS sensors attached, but by drafting a universal interface, the MIPI Alliance hopes to reduce the required pins (click on image to expand). Here is what EETimes says about a sensor interface standard: A standards development group is exploring the feasibility of a new interface standard that would enable even multiple degree-of-freedom arrays of micro-electro-mechanical system (MEMS) sensors to use a simple common interface. #CHIPS: "Xeon Phi Wins Top 10 Supercomputer Slot"
Intel processors powered 76% of the Top500 Supercomputer Sites worldwide. Here is what GoParallel says about the Top500 List: Intel’s massively parallel Xeon Phi coprocessor powered a Top 10 Supercomputer on the 20th anniversary of the Top500 Supercomputer List. At 2.6-petaFLOPS, Stampede ranked seventh out of 500 supercomputers, one of only 23 petaflop-caliber systems on this year’s list. Located at the Texas Advanced Computing Center at the University of Texas (Austin), Stampede is powered by a Dell PowerEdge C8220 chassis using Xeon E5 main and Xeon Phi coprocessors. 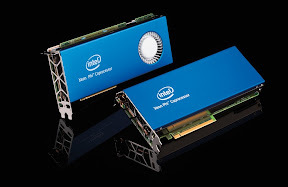 Only 62 of the Top500 supercomputers used coprocessor technologies to perform acceleration this year, including eight using advanced prototypes of Intel’s forthcoming Xeon Phi. 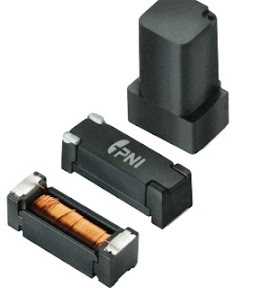 #MEMS: "Sensor to prevent smart-meter tampering"
Freescale's three-axis accelerometer optimized for sensing tilt can be used to prevent tampering with stationary smart meters. Here is what EETimes says about MEMS sensors for tamper prevention: Sensing "tilt" in old style pinball machines used a mechanical ball-in-tube sensor, but the micro-electro-mechanical system (MEMS) version should harness a tri-axis accelerometer, according to Freescale Semiconductor Inc.
At the MEMS Executive Congress 2012 here, Freescale rolled out a tilt sensor— Xtrinsic MMA8491Q—that the company says could be used for a modern version of tilt-detection in pinball. But the target application for the device is preventing tampering in smart meters. News MEMS devices take a decade to mature (right) with the bulk of next-generation MEMS innovations still in the formative stages (left). 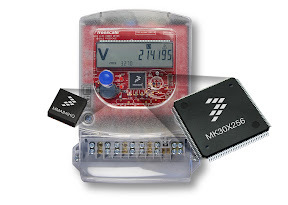 Here is what EETimes says about the MEMS market: Micro-electro-mechanical-systems (MEMS) have revolutionized every market in which they have become successful, but the trend is just beginning, according to analysts speaking on a panel at the MEMS Executive Congress 2012 here. 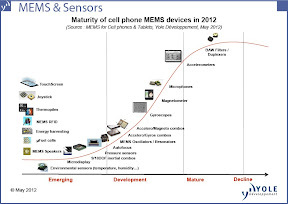 Analysts project rapid growth for the types of MEMS already in widespread use. 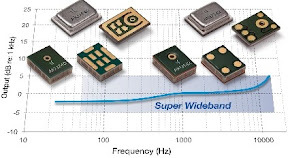 But, by later this decade, several more types of MEMS devices are expected to be in production, creating more potential for exponential growth. 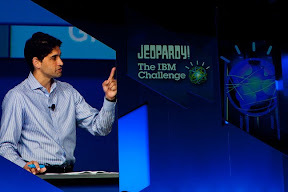 #MARKETS: "10 electronics visionaries to watch"
David Shepler was the Jeopardy Challenge Program Manager at IBM Research (shown here giving pointers to the human contestants on how to compete against Watson--IBM’s pioneering artificial-intelligence technology)...More recently, Shepler became program manager for IBM's Smarter Energy Research Institute, which is developing predictive analytics, system optimization and advanced computation models that will help define the smart grid of the future. Here is what EETimes says about the future movers-and-shakers of electronics technology: Predicting the future is always fraught with peril, but the visionaries featured here are boldly going where no one has gone before. To be sure, the personalities featured in this slideshow are not unique--in each category dozens of other pioneers could have been used in lieu of those chosen. Nevertheless, the pioneering vision and unflinching dedication of those featured in this slideshow serve as a shining example of how to “do” the future right. 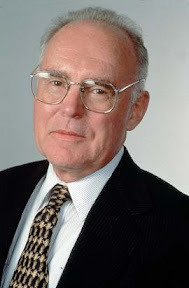 #CHIPS: "Moore's Law goes biotech"
Here is what EETimes says: Gordon Moore captivated a generation with his prophetic foreshadowing that the density of semiconductor devices would double every year or two -- a prediction that has been so dependable that commentators have enshrined it as: Moore's Law. And even as we approach the end of the International Technology Roadmap for Semiconductors (ITRS), when bottom-up molecular self-assembly is predicted to take over from today's top-down subtractive lithography -- the density of new devices is still expected to double every few years, extending Moore's legacy indefinitely even in new fields such as biotechnology. 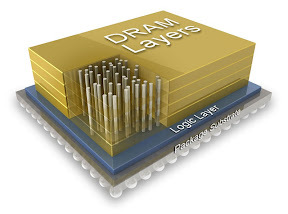 #MARKETS: "Future Tech--from 3-D chips to cognitive computing"
3-D chip stacks--here a Hybrid Memory Cube from Micron--will dominate the future of semiconductors. Here is what EETimes says about the technologies defining our future: We picked ten technologies representative of trends which we expect will redefine our industry as well as the way we expect to interact in an increasingly interactive world. Admittedly, there are dozens of other examples we could have chosen with equal validity. We welcome your comments on our choices. 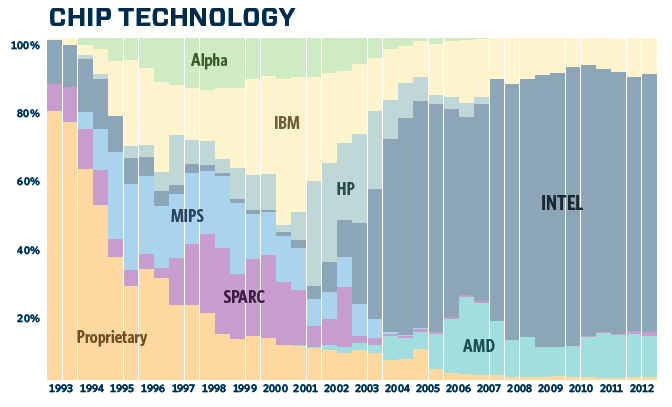 A few software-related trends were included because they are enabled by electronic technologies. We intentionally resisted including the deluge of “social media” and related trends that are merely popular uses of electronic devices. 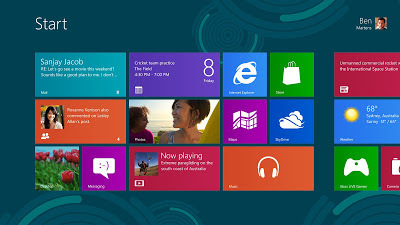 #WINDOWS-8: "What You Need to Know BEFORE Upgrading"
Windows 8 security is hardened, but unfamiliarity with its new "Metro-style" interface could trick unsophisticated users into running programs that pretend to be patches to fix problems that don’t exist, but instead install malware. And since all applications submitted to Windows 8′s Windows Store must be digitally “signed” malware authors will be encouraging to try and steal digital certificates.